For years I only knew C.S. Lewis as the guy who was good for some really witty quotes and the author of “The Chronicles of Narnia.” I knew he was a Christian, and I knew he was friends with J.R.R. Tolkien. When I started writing a book roughly a year ago I told myself that I should really read his work to augment my knowledge of the Christian faith, yet I still procrastinated. Finally, after his name came up in the comments section of this blog, I vowed to get up to speed on C.S. Lewis — and I’m glad I did. “The Complete C.S. Lewis Signature Classics” may be $34.99, but it’s worth every penny. Here is what readers get for their money: Mere Christianity, The Screwtape Letters, The Great Divorce, The Problem of Pain, Miracles, A Grief Observed and The Abolition of Man. Another way of putting it: 730 pages of philosophical and creative works written by an intellectual giant. Even those who disagree with the man, if they are honest, will concede that he was powerhouse. “Let us suppose a race of people whose peculiar mental limitation compels them to regard a painting as something made up of little colored dots which have been put together like a mosaic. Studying the brushwork of a great painting, through their magnifying glasses, they discover more and more complicated relations between the dots, and sort these relations out, with great toil, into certain regularities. Their labor will not be in vain. These regularities will in fact ‘work’; they will cover most of the facts. But if they go on to conclude that any departure from them would be unworthy of the painter, and an arbitrary breaking of his own rules, they will be far astray. For the regularities they have observed never were the rule the painter was following. What they painfully reconstruct from a million dots, arranged in an agonizing complexity, he really produced with a single lightening-quick turn of the wrist, his eye meanwhile taking in the canvas as a whole and his mind obeying laws of composition which the observers, counting their dots, have not yet come within sight of, and perhaps never will,” (Miracles, 387). The beauty of Lewis’ work is that it’s smart, but it’s personable. A man without a high school education and a Rhodes Scholar can both appreciate the product. Lewis’ insights are sharp, but he never talks down to his audience. Just as the U.S. Declaration of Independence artfully articulates the rights given to all men by their Creator — in ways anyone can understand — Lewis makes the case for God in ways that individuals of varying degrees of mental acuity can comprehend. “What can you ever really know of other people’s souls — of their of their temptations, their opportunities, their struggles? One soul in the whole creation you do know: and it is the only one whose fate is placed in your hands. If there is a God, you are, in a sense, alone with Him. You can not put Him off with speculations about your next door neighbors or memories of what you have read in books. What will all the chatter and hearsay count (will you even be able to remember it?) when the anesthetic fog which we call ‘nature’ or ‘the real world’ fades away and the Presence in which you have always stood becomes palpable, immediate, unavoidable?” (Mere Christianity, 170). One of the most interesting aspects of Lewis’ life is the fact that for many years he was an atheist. In many ways, his early atheism actually benefited Christianity because it is obvious that he thought long and hard about the existence of God. Those doubts are revisited in his journal entries pertaining to the death of his wife; the result is thought-provoking and hauntingly beautiful. Lewis says of dealing with his wife’s passing due to cancer: “You never know how much you really believe anything until its truth or falsehood becomes a matter of life and death to you.” He is correct. His faith comes out in tact, but the journal entries from “A Grief Observed” leaves readers shaken because the truth can be jarring. I highly recommend “The Complete C.S. 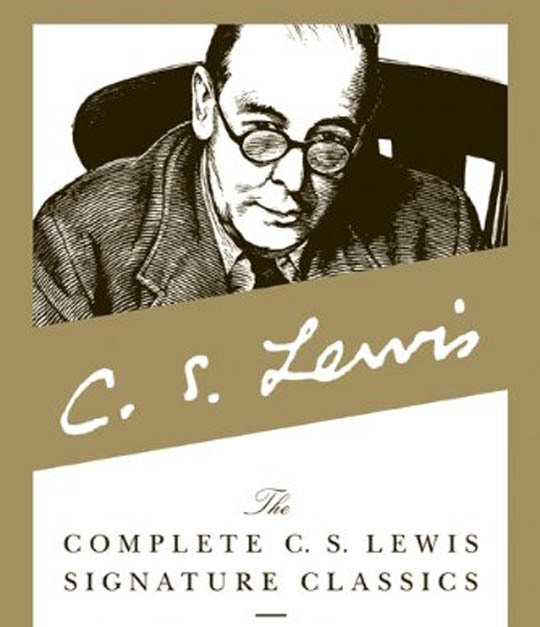 Lewis Signature Classics” for agnostics, atheists, Christians and non-Christians everywhere. Great review! I always mean to read more of his work and this only proves that I need to get on it even more. He always had a brilliant ability to tell a story that was intellectually astounding yet anyone could understand it. I’ve been meaning to read his non-Narnia books for some time, but never think to look for them while I’m at the bookstore. Thanks for the read Truth. As always, I appreciate it. Good post! Lewis’s books have had a big impact on my life and I’m glad you are promoting him. He wrote so often of George MacDonald that I started reading his works as well. Lewis referred to MacDonald as his “Master” so if you ever get the time you should give him a read. But I know your list of books to read is long not to mention trying to write your own. And thanks for the GKC promotion! I read these works and it reminds me how ignorant I truly am. Thanks for taking the time to read and comment, Eduardo. I really appreciate it. I think I may have to move on to George MacDonald next. If there are specific works you’d like to recommend, let me know and I’ll try and get to them soon. I read these works and it reminds me how ignorant I truly am.